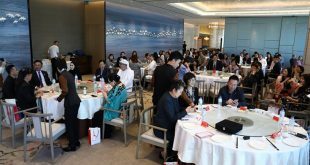 Among the sectors highlighted were logistics, environment, technology and innovation, healthcare, education and research, start-ups, SMEs – each of which have been playing increasingly important roles in enriching Sharjah’s FDI appeal. The roundtable’s prominent attendees included HE Henrik Landerholm, Swedish Ambassador to the UAE; HE Marwan bin Jassim Al Sarkal, Executive Chairman of the Sharjah Investment and Development Authority (Shurooq); Masoud Beyouki, Commercial Attaché at Swedish Embassy; and Mohammed Juma Al Musharrakh, CEO of Sharjah FDI Office. 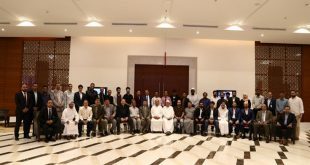 The event also saw the participation of HE Khaled Al Huraimel, Group CEO Bee’ah; Ahmed Al Halyan, Director of Business Development the Sharjah Research Technology and Innovation Park; Mr. Emerson Buarque, General Manager of Business Development at Gulftainer; and Saeed Al Nofeli, Venture Creation Manager at Sharjah Entrepreneurship Centre (Sheraa), who shared local business expertise and shed light on the new and emerging prospects in their respective sectors to the Swedish delegation. Masoud Beyouki, Commercial Attaché at Swedish Embassy, reaffirmed that Sharjah is one the region’s most favoured investment destinations, and a key access point for expansion and development to new markets, especially when it is among the top 26 priority markets in Sweden’s Export Strategy. On his part, Mohamed Juma Al Musharrkh, CEO of Sharjah FDI Office, outlined to the attendees Sharjah’s key competitive advantages and benefits that continue to provide quality service to investors worldwide. In his presentation, Ahmad Al Halyan, Director of Business Development at the Sharjah Research Technology and Innovation Park, highlighted the Sharjah RTI Park’s investment as well as the advantages and facilities that qualifies it to be a favorite destination for Swedish innovators and companies and for investors from the entire world. This was followed by a presentation by Emerson Buarque, General Manager of Business Development at Gulftainer, who outlined Swedish investors the benefits and opportunities behind partnering with one of the leading logistics companies in the region and the world, as well as presented the numerous facilities and services available for businesses who look to expand their operations worldwide. On his part, HE Khaled Al Huraimel, Group CEO of Bee’ah, outlined how through its position as a sustainability pioneer in the region, and inspired by Sweden’s achievements and best practices, Bee’ah is implementing a similar model for sustainable development within Sharjah and the UAE. 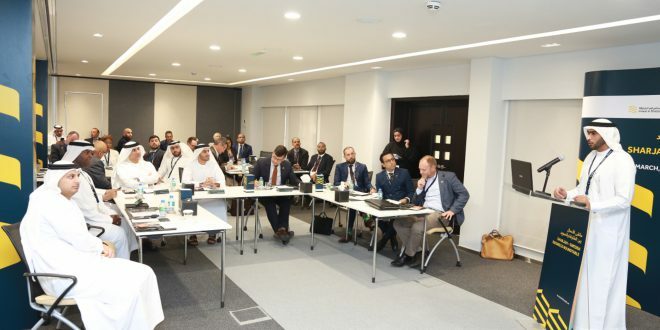 He explained that this platform presents valuable opportunities for sharing of knowledge and practices within this industry, which will further contribute to the achievement of the sustainability targets stipulated under the UAE Vision 2021. Leading discussions on entrepreneurships, Saeed Al Nofeli, Venture Creation Manager, explained attendees on how Sharjah and Sweden share a common mission to promote innovation and entrepreneurship, ensuring opportunities for long-term collaboration. Since its launch by Shurooq during the Sharjah FDI Forum in September 2016, the Sharjah FDI Office has been actively engaged in various events to promote Sharjah in local, regional and international arenas. Since then, it has been able to strengthen the channels of communication between the domestic and international investment market. 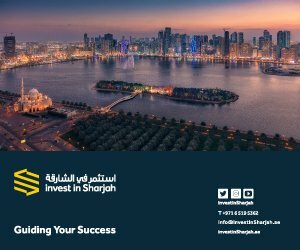 The Sharjah FDI Office has been entrusted by Shurooq to promote Sharjah as an investment destination and introduce investors to the rewarding investment opportunities. The office has established itself as an influential investment promotion agency in enhancing the emirate’s position as a first investment destination in the region. 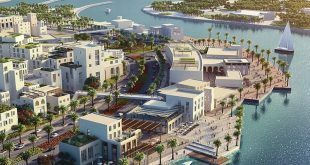 It is now stepping up efforts to promote the emirate as one of the best investment attractions in the world.